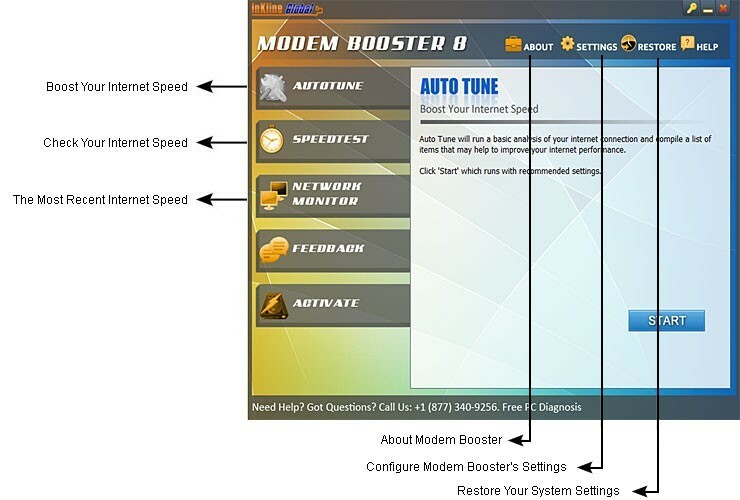 Modem Booster is a proven Web Accelerator software that can help speed up your Internet surfing speed dramatically. This means you can Boost download , upload and web surfing speed by 300% more; reduce web page and graphics load time, and do much more Fun Stuff online like Chat, watching movie clips, uploading files, picture, surfing your social networking sites and downloading MP3s/movie/drama and so much more! Give your PC maximum power in one click and enjoy the following in seconds! Fully automatic tune up of your PC speed with just a one click. Eliminate and Prevent most PC slowdown and crashes by optimizing resource usage.